There is an old saying that is very true: Those who don’t know history are doomed to repeat it. Erie County government in its present county charter form is 57 years old. County executives, comptrollers, and legislators have come and gone. Many years all has run smoothly. Some years, not so much. There have been three significant financial meltdowns of county finances over the past 40 years. Each one resulted in higher taxes and reduced services. For each one, working through the calamity took several years. The root of these meltdowns has been very similar. In an effort to cut county property taxes, or to claim the proposed levy for the year was sufficient, spending was held down in some county accounts to make it look like everything balanced. The facts are that most county spending rises each year, because of inflationary factors, the impact of state-mandated services on the county, or the executive and/or legislature’s increases in certain spending in popular areas such as cultural funding. If funding levels are not realistic, or unanticipated funding needs occur, major problems develop. This happened in 1976 when budgeted expenses did not match revenues, resulting in a lower 1976 property tax than was necessary to maintain a structurally balanced budget, with operating expenses matching operating revenues. (Full disclosure: I was a member of the Legislature’s staff in the 1970s and was actively in involved in budget matters.) When it became obvious early in 1976 that a major deficit was developing, County Executive Ned Regan proposed various options for dealing with the problem, culminating in a proposed 1977 budget in June 1976 that suggested a 76 percent increase in the property tax. Regan’s proposal did not survive. After more than six months of haggling over the 1977 budget, the Legislature eventually cut the tax increase to 32 percent. Democrats lost control of the Legislature in the 1977 elections. Regan was elected state comptroller the next year. Similarly, in 1983 politics intervened in the budget. The Democratic candidate for county executive, Dave Swarts, suggested during the campaign that county taxes would not be sufficient to cover county expenses in 1984. Incumbent Ed Rutkowski claimed otherwise and produced a version of the 1984 budget that kept taxes stable. Early in 1984 the county again experienced a financial meltdown, which ultimately led to a one percent increase in the county sales tax. Subsequently, Republicans lost control of the Legislature and Rutkowski lost his re-election bid to Dennis Gorski. Gorski ran for a fourth term in 1999 against Joel Giambra. Giambra, eying the large fund balance, proposed a 30 percent decrease in county property taxes. After his election Giambra fulfilled that promise. No major cuts were made in spending. The fund balance was decimated. Giambra was re-elected in 2003. Then, starting in 2004 and continuing through 2005, the administration’s failure to make sufficient spending cuts to deal with reduced property taxes caught up with Giambra and the Legislature. The county sold the county hospital to the Erie County Medical Center Corporation for $85 million, but even that one-time cash was not enough. Eventually the county sales tax was increased by another three-quarters of one percent. Services were cut. Libraries were closed. The State of New York created the Erie County Fiscal Stability Authority (ECFSA, a.k.a. the Control Board) to monitor the county’s finances. The Control Board was created to offer “adult supervision” over the county’s finances. I was appointed a member of the board in late 2005 and served for five years. In November 2006 the board voted to enter a “control period,” during which it gained substantial control over county expenses and revenues. Chris Collins was elected county executive in 2007. The board ended the control period, reverting to a monitoring role, in 2009. History has demonstrated that when county government fails to recognize, plan for, and deal with the need to keep the county budget structurally balanced (expenses matching revenues), problems will develop. Recently there has been an issue concerning the sale of up to $120 million in bonds to permit emergency room expansion at the Erie County Medical Center, plus various other renovation projects at the hospital. The back-and-forth about the proposed funding eventually led to approval for the ECFSA to sell the bonds. Over the past several years the county has been hit by substantial increases in its financial obligation to the hospital, relating to federally mandated Intergovernmental Transfers (IGT), which cover the costs of uninsured care. In 2009 Collins made a deal with ECMC requiring the county to contribute a minimum of $16.2 million annually, or whatever higher amount is necessary to meet that need. The escalating IGT payments have put a strain on the county budget. While annual county property tax levies have increased due to rising property assessments, the so-called county tax rate has remained essentially the same. The county tax rate is a calculation based on the county’s tax levy and the full market value of property. No one actually pays their county taxes at the county tax rate. Each town and city in the county has their own rate based on local property assessments. The county’s largest local source of general fund revenue, accounting for more than 30 percent of the total, is the sales tax. Erie County’s sales tax is at the highest level in upstate New York. The sales tax has been growing, but at a rate below budget projections, probably because of reduced taxes received on gasoline sales and a Canadian exchange rate that keeps Canadian shoppers away. Meanwhile county expenses have increased in various ways, through settled union contracts, inflation, underfunded state mandates, and voluntary choices to spend more in certain areas of the budget. The county budget is being balanced by the limited use of fund balance. The fund balance has grown to approximately $100 million. The county charter requires that an amount equal to at least five percent of the annual general fund shall be held in reserve in the fund balance, leaving approximately $45 million for use by the county. In order to mitigate some of the impact of the county’s growing ECMC obligations, County Executive Mark Poloncarz proposed that the hospital, because the county could sell ECMC bonds less expensively than the hospital itself could, should credit the county for the savings, thus reducing demands on the county in a limited amount for a limited period of time. The hospital administration agreed to that arrangement. Some legislators have suggested that fund balance be used for the additional county obligations to ECMC, with lower bond costs directly benefiting the hospital. This back-and-forth requires some analysis of what the county’s financial situation currently is, as well as what may occur over the next three years. The law that created the ECFSA mandated four-year planning. The law also requires that the ECFSA must, within 20 days of the release of the county executive’s proposed budget for the next year, prepare a review and analysis of the financial plan laid out by the county executive “to determine, in its best judgment, whether the budget and the plan are in balance.” The board released its latest review on October 31, 2016. ECMC projects $34.5 million more in revenues from the county through 2020 than the county itself estimates. “The county has over-budgeted sales tax revenues for the last four years.” Projected growth in sales tax revenues have been reduced to reasonable numbers, but it remains to be seen if even the lower amounts will be achieved. The county projects using $15 million in fund balance over the four-year period. The county’s four-year projections for overtime expenses appear to be low by several million dollars. Increases in county medical insurance obligations were previously projected to be at least partly ameliorated through union contracts, but the county’s four-year plan indicates such expenses increasing by several million dollars through 2019. The county has suggested various methods for closing future budget gaps, including growing sales tax and property taxes related to assessment increases, use of fund balance, and reductions in discretionary spending as well as savings resulting from new union contracts. Such savings are not itemized. When you consider Erie County’s history of fiscal calamities; combined with the serious current issues the county faces, as outlined by the ECFSA; and adding in the potential political turmoil that comes from a county legislature election year that is just heating up, you have a prescription for a fiscal crisis. Denials about the magnitude of the potential issues and the temptation to point fingers and pass the buck will only make matters worse. The obvious first remedy for what may ail the county government, of course, is to look for ways to reduce and mitigate spending. I will take both the county executive and the legislature seriously when they say that they are committed to doing that. Such good intentions, however, will only go so far. All counties in New York State are hamstrung by state mandates that consume the largest portion of county budgets. Yes, the Chris Collins scheme to prohibit the state from requiring counties to share Medicaid expenses would have helped. But the Obamacare “repeal and replace” legislation needed to enact Collins’s plan is dead. You would have to have just fallen from the turnip truck or be new to living in New York State to think that Albany does not have many ways to compensate for losing the Medicaid cost pass-on option beyond just cutting Medicaid expenses. One cost-sharing arrangement would likely be substituted for another. If Erie County leaders can rise above standard politics, they need to consider this: County property taxes, beyond whatever growth increasing assessments produce, must rise starting in 2018. If planned out properly, and in conjunction with cost controls and judicious use of fund balance, such increases could be relatively small. But they will be needed each year. Raising property taxes in Erie County is like touching the proverbial “third rail” of county politics. What the county leaders need to accept, however, is that this is not a do-it or not-do-it proposition. This is basically one of those “pay me now or pay me later” situations. One final note. 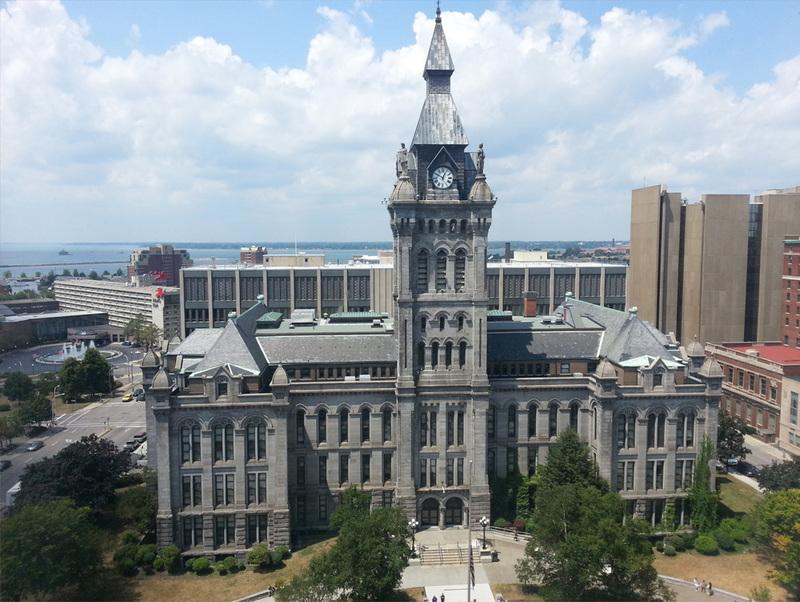 The Erie County Fiscal Stability Authority needs to step up its role in this situation. Quarterly meetings of going through the motions are not cutting it. The county is now operating with structurally unbalanced budgets, contrary to the requirements of the Public Authorities Law. The control board needs to earn its $460,000 annual keep—before it is too late.